Big KEF discounts at Unilet's final Sinful Saturday sale | What Hi-Fi? This Saturday (June 4th) sees KEF as the star of Unilet's final Sinful Saturday sale. All KEF products will be subject to "significant discounts" in store, including the range-topping Reference Series and new Q and T Series speakers. 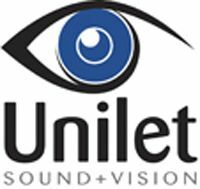 Although Unilet doesn't have the entire KEF range in stock, the sale prices will be extended to include any KEF products ordered at the weekend. Customers simply have to order them and pay a deposit on the day to secure them at the sale price. In addition to the KEF discounts, Unilet is also offering a further 10% discount on all remaining stock in its Blue Murder sale. So the Roksan radius turntable (normally £1449) has been further reduced to £539, including tonearm and Ortofon 2M cartridge. B&W Zeppelin Minis are available for £170, the Pioneer BDP430 3D Blu-ray player is on sale at £170 too, and the TEAC 380 DAB/FM/CD two-box system is reduced from £500 to £265. Also available is the Plinius 9200 integrated amplifier at £2429, a saving of £1400 on the original price. These and more final bargains will be available at Unilet Sound & Vision, 35 High Street, New Malden KT3 4BY.